This weekend, after the Solstice parade, head down to the Funk Zone to see what’s cooking. Rumors are that there will be a midnight parade…? 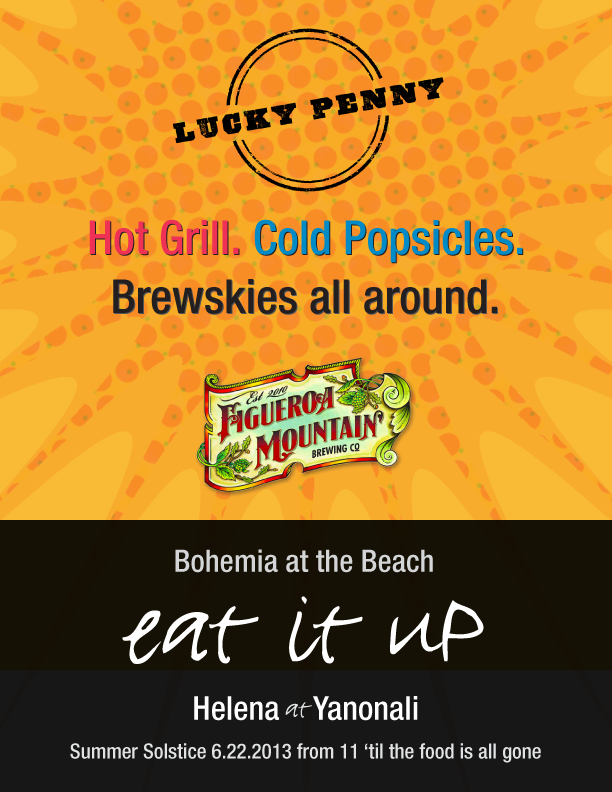 Score a plate of delicious Lucky Penny food during the Bohemia at the Beach Summer Solstice party in the Funk Zone Santa Barbara – we’ll be chillin’ with Figueroa Mountain Brewing – Santa Barbara.